Setup for the GB40s was simple using Reebok’s handy numbered guide, if you were putting this together by yourself then I think it would take around 90 minutes to put together from box to final product. 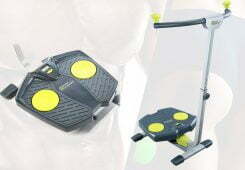 To speed things up I always build my fitness equipment in pairs. It’s always handy to have an extra person hold bits while you are screwing them in. After completing the Reebok GB40s and moving it onto my floor mat it all looked very stylish. 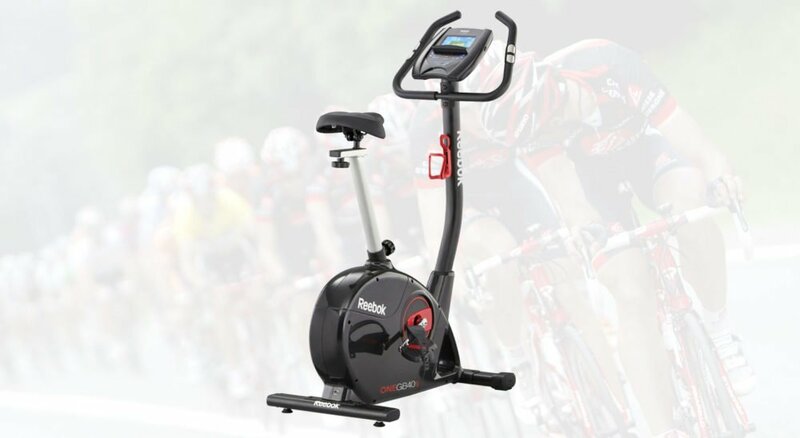 The dark red extras go well with the main black body and neck of the bike with various Reebok logo’s present throughout. 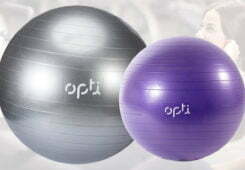 As you would expect from a high priced item the build quality is very good. Everything from the totally enclosed base unit right through to the thick welded seat holder feels well-constructed. 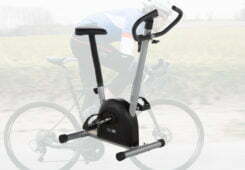 Reebok have certainly not cut back on the construction of this bike. 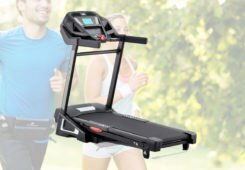 When you have tried lots of fitness equipment over the years from many brands it’s really refreshing when something like the GB40s comes along. 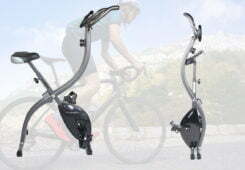 The connection from the seat to the base unit of the bike is possible one of the highest quality I have tested outside of the gym. I cannot fault any part of the seats construction, the adjustable handles are all good quality and everything feels big and sold. It gives me an impressions that this bike is going to last. The seat itself is adjustable both vertically and horizontally which is great for our home as I am much shorter than my partner who would need to both raise and slide the seat for comfort. 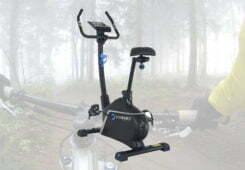 Much like Reeboks other higher priced exercise bike the Jet 100, the GB40s has a 9kg fly wheel to ensure smooth motion while in use. The fly wheel gives you natural resistance throughout a whole rotation unlike cheaper magnetic bikes that may feel uneven and can massively vary during use. 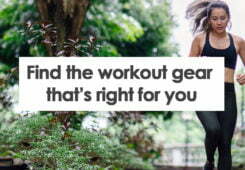 Both my partner and I agree that Reebok must have done their research as 9kg’s feels about right for both of us. 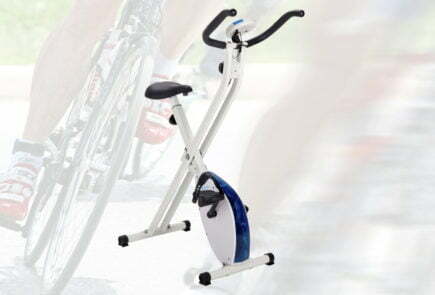 When you use your exercise bike on a regular basis (you are going to use your bike on a regular basis aren’t you 🙂 then it’s the little things that help you to keep coming back. 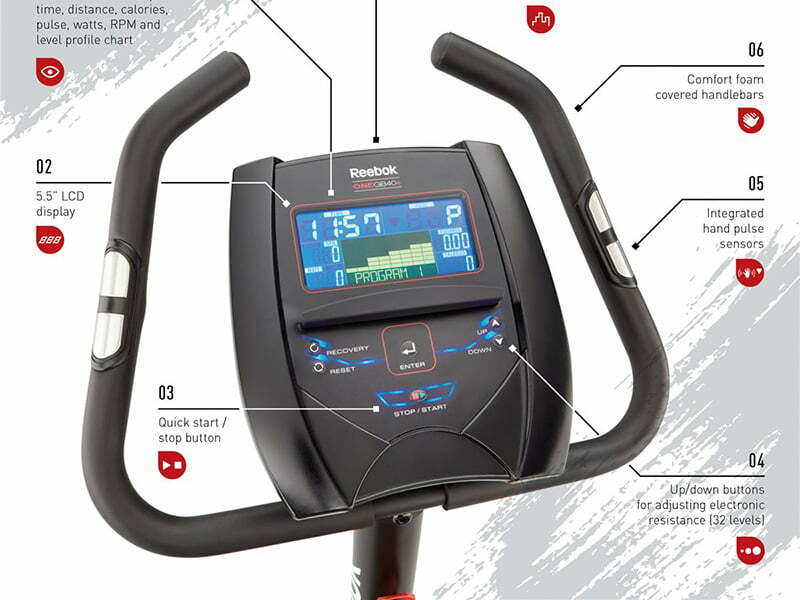 Reebok have added in both self-levelling pedals and adjustable handlebars. The self-levelling pedals are a really nice addition that saves you from having to do an odd foot dance with the pedal each time you get on the bike. The high quality of the thick rubberish adjustable pedal straps over lots of budget bikes that I have tested also fills me with confidence. The adjustable handlebars are a nice feature as you can move these in a clockwise or anticlockwise motion to make this more comfortable during your workout. A drinks holder, an odd choice to add to the main features list I agree. 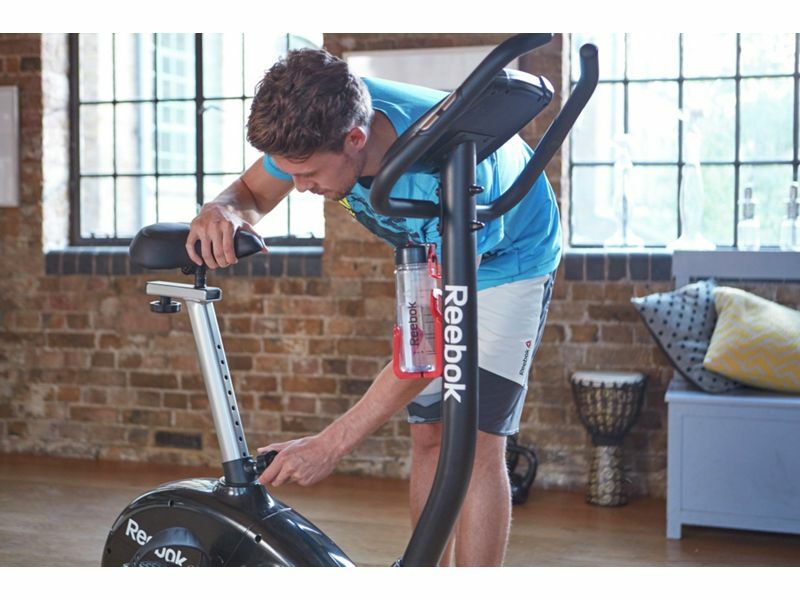 Having said that you really need to understand how frustrating it is mid workout and you have to get off the bike to have a drink of water. 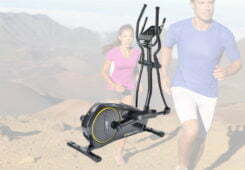 Some of the top brands including Reebok have missed this feature of various bikes and treadmills in the past. 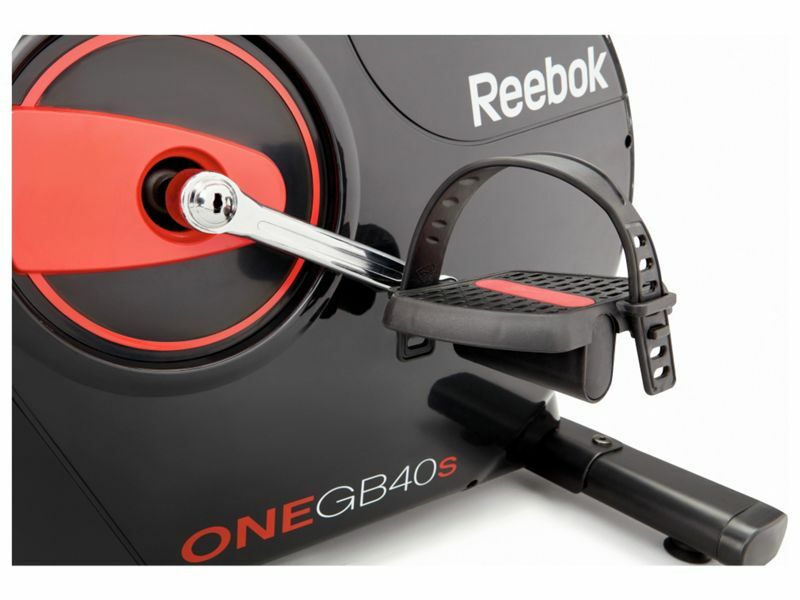 It’s nice that Reebok have included a drinks holder as standard with the GB40s. 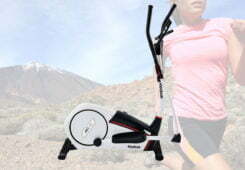 The Reebok GB40s has been equipped with the latest LCD display almost identical to that found on the GX40s cross trainer. 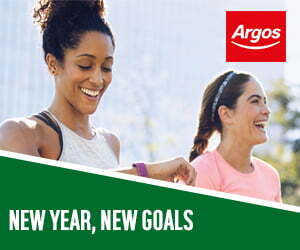 A more simplified version with less buttons makes it even easier to set a workout programme. It is beautiful to look at with a bigger display than previous models, allowing me to use the bike without the need for contacts. Blue LED’s around the buttons and a blue/green LCD display make this a pleasure to use. Everything is clearly laid out with the most important information given a bigger font, the white numbers are also really crisp on the dark blue background. 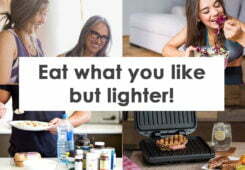 Simple in this case does not mean less. 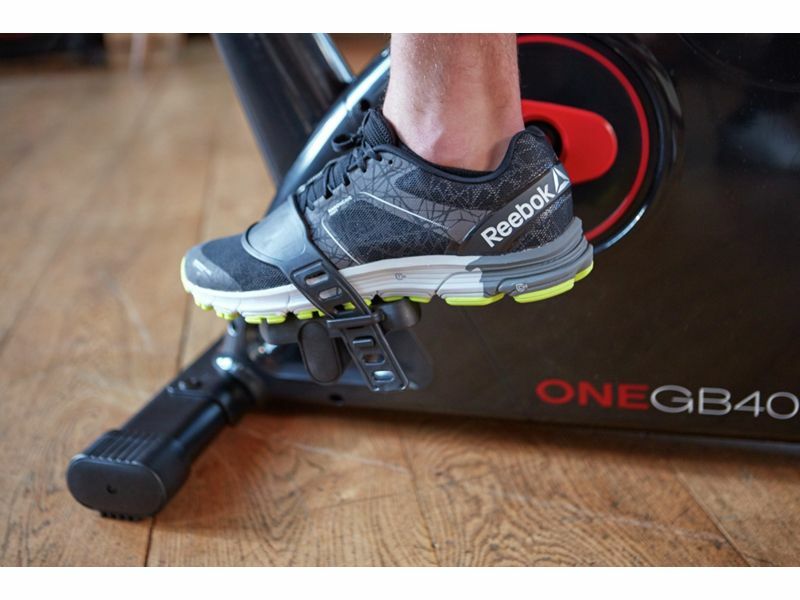 Included with the Reebok GB40s are 19 user programmes (12 pre-set), time target, calories, distance and heart rate that is measured from the pulse hand grips. 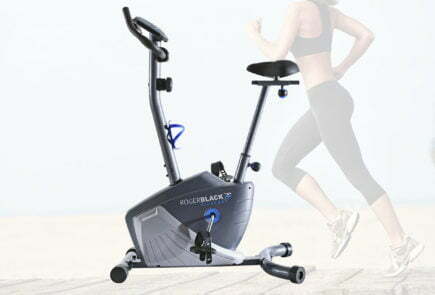 This paired with the 32 levels of tension control make this the perfect combination for every level of fitness enthusiast. The only negative point I can find is that the Reebok GB40 doesn’t come with any form of MP3 playback. For many this would be of no concern and I have to admit I feel like I am just trying to find anything to put in this section, to the credit of the GB40s. 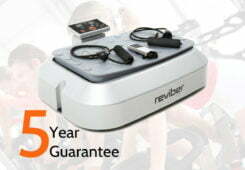 A near perfect exercise bike that is going to be hard to beat, it does however come with a high price tag that may put this out of reach for many. 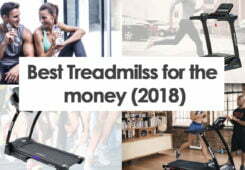 The GB40s comes with the full list of features you would expect from a premium prices treadmill. 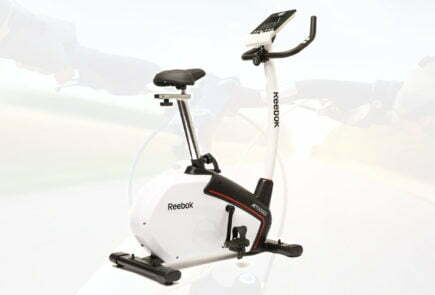 If you are lucky enough to be able to purchase the Reebok GB40s then you will not be disappointed and have purchased a bike that is going to give you great results and last for years. 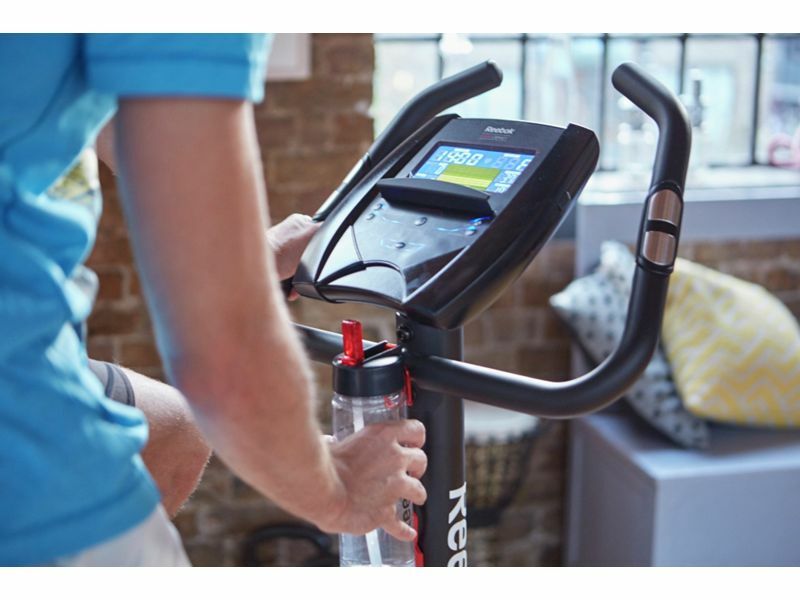 LCD feedback including time, distance, speed heart rate and calories. With a high RRP can the Reebok GB40s perform against previous modals?